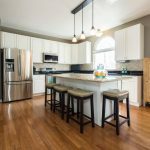 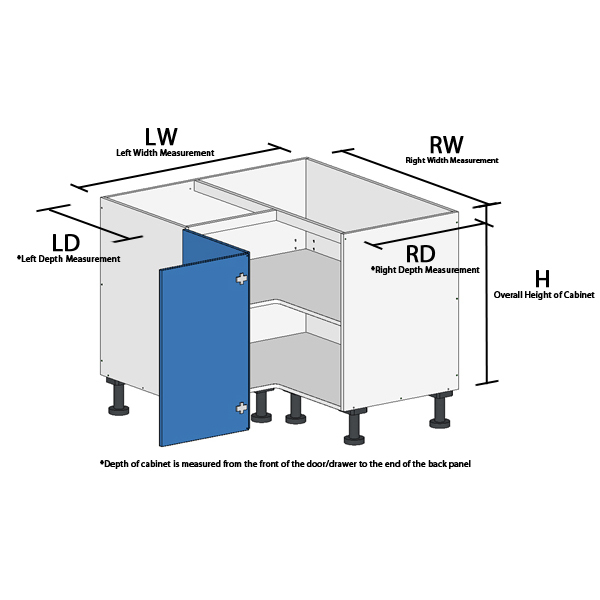 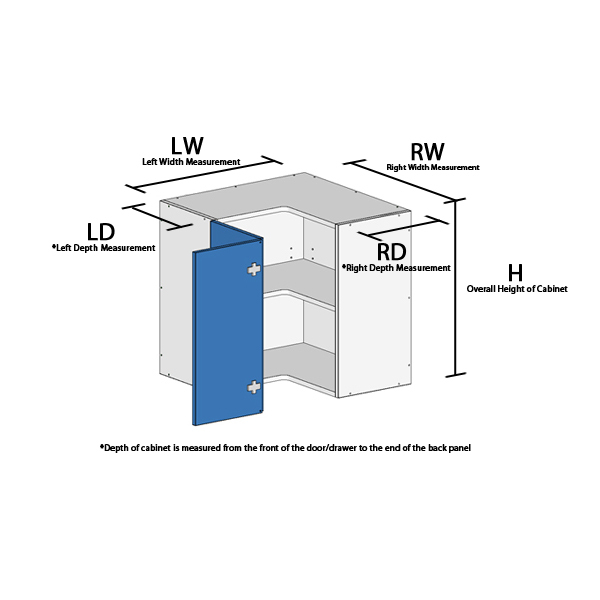 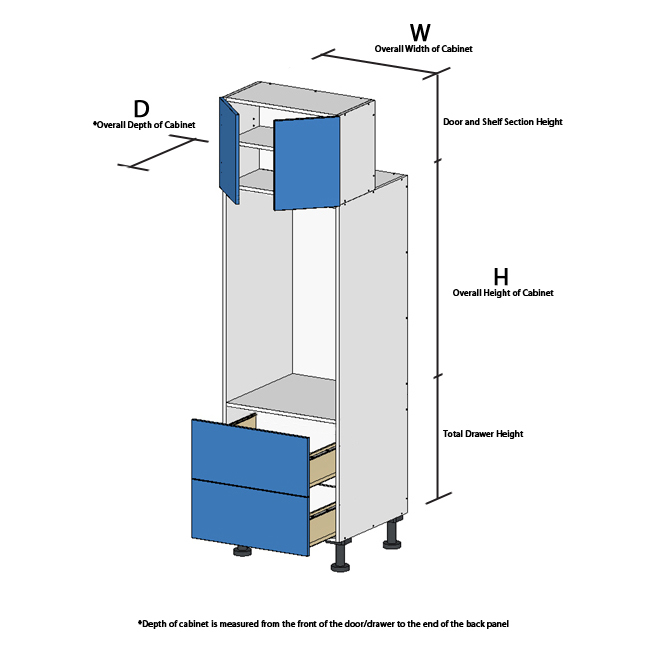 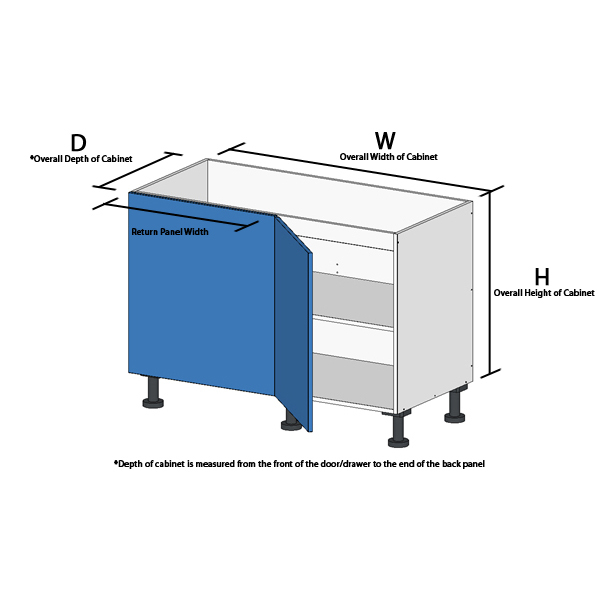 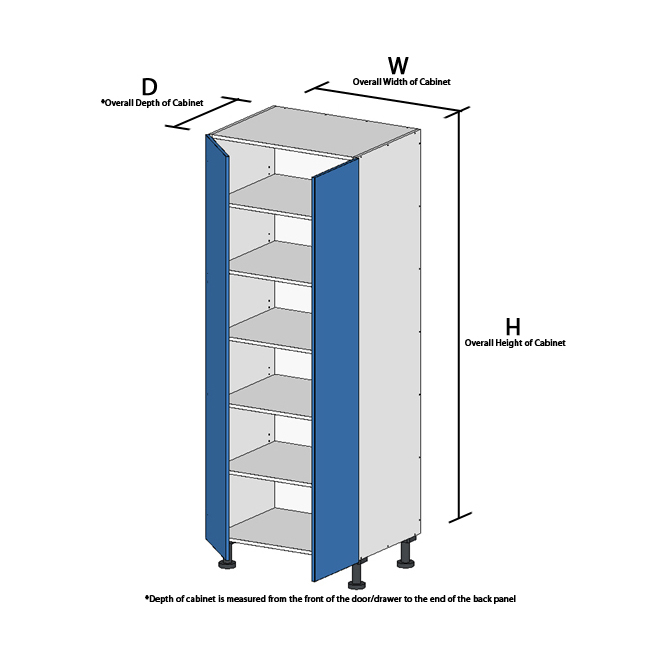 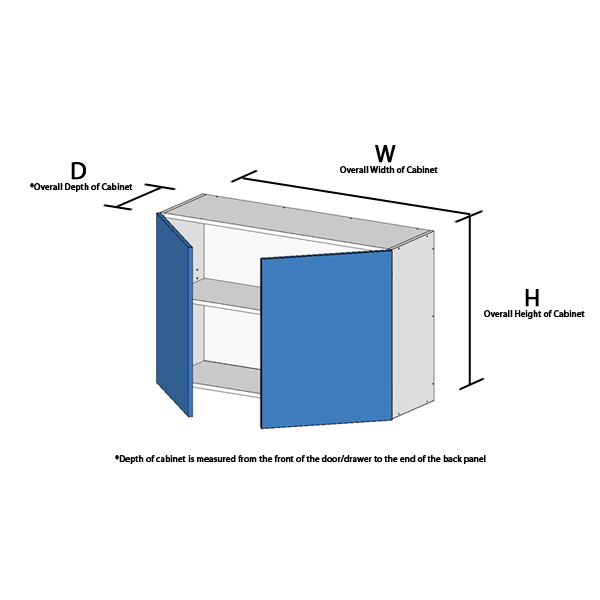 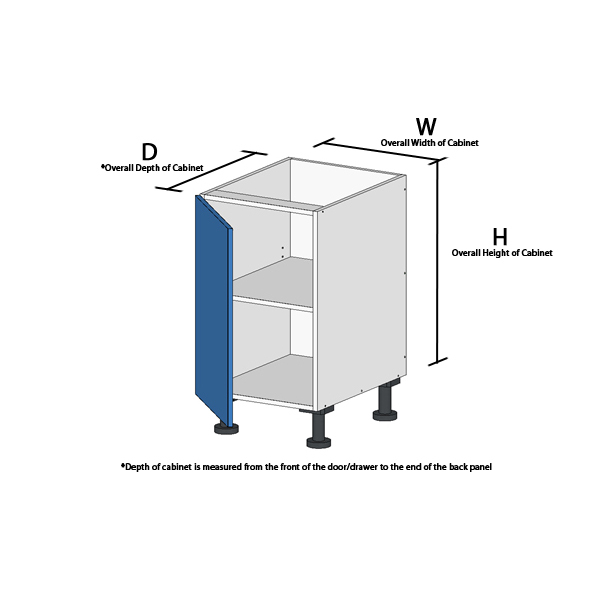 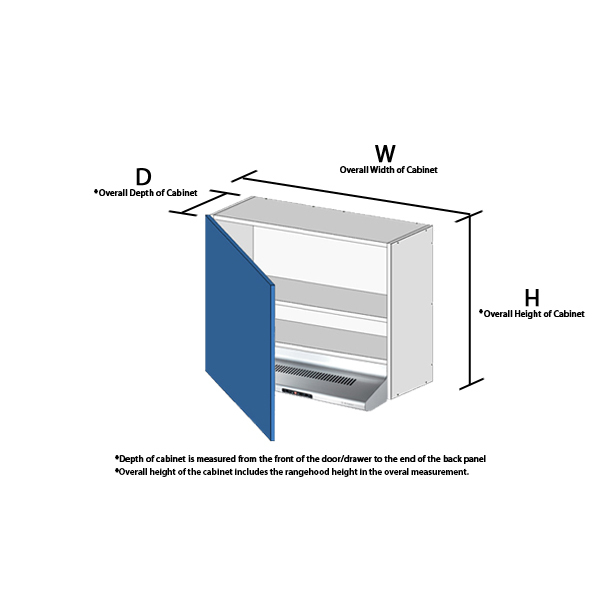 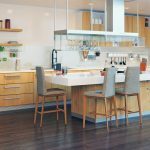 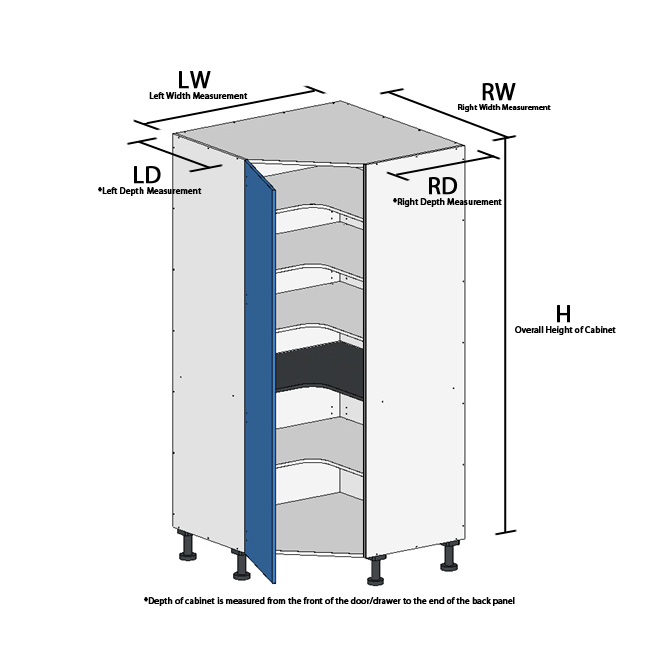 Understanding cabinet measurements can be confusing, well we have made it easy just for you. 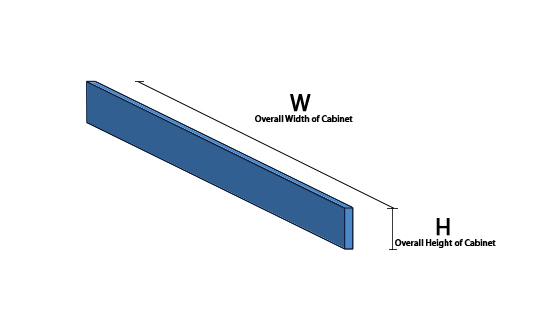 Handy hints to get you start with your cabinet measurements. 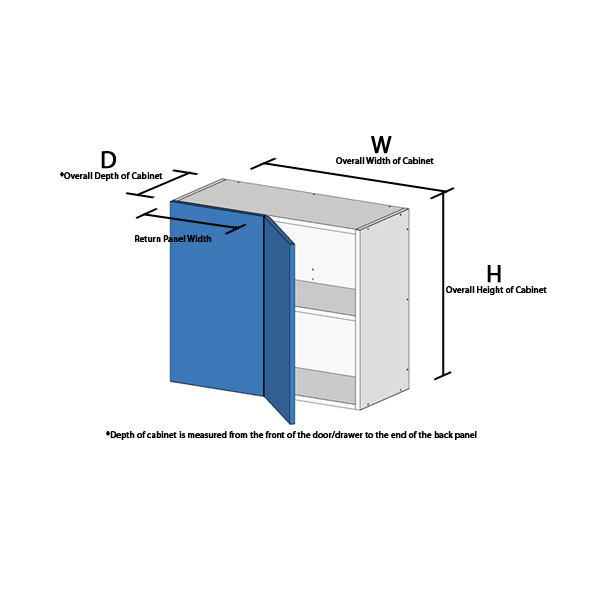 The depth of the cabinetry is measured from the front of the door/drawer to the end of the back panel. 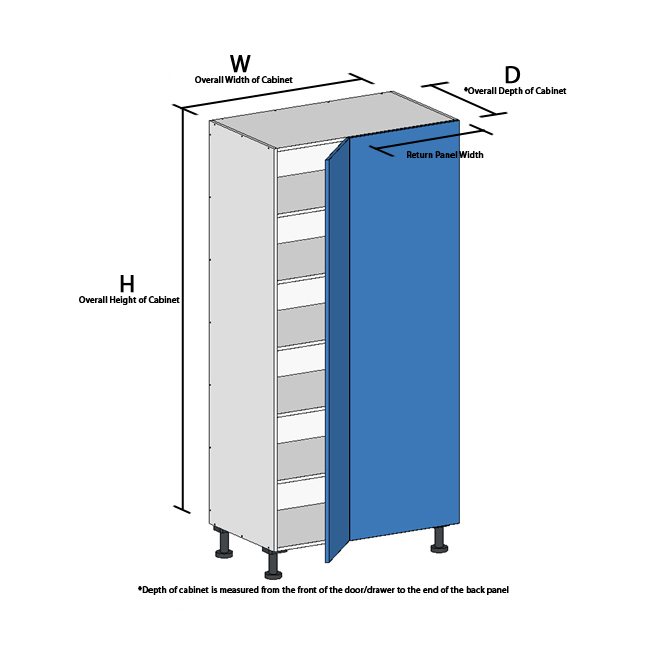 The adjustable legs on base and tall units are NOT included in the overall height.